This measure is calculated by dividing the tonnes of construction waste that is taken to recycling or re-use facilities by the total tonnes of construction waste produced during the construction of the project. The target is 75% and is only measured for buildings that are striving for LEED certification. actual construction occurs. 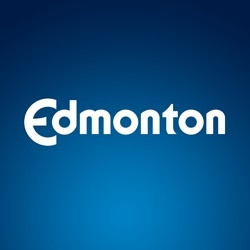 As this is a regional measure and impacted by the economy, Edmonton Region Nonresidential Permit Value is considered an indicator. Recreation Facility and Library Attendance measures visits per capita at City of Edmonton recreation facilities and libraries. Attendance numbers are collected on a monthly basis by each individual recreation facility and library. The results are then combined to produce one annual total. Non-paying visitors who use these facilities as community hubs (for example, to have coffee or socialize during a sports match) are not included in the attendance count.